Jabardasth Comedian Adhire Abhi on his Aagadu spoof says “Sorry to Mahesh Babu Fans"
Popular comedy show ‘Jabardasth’ which is being aired on ETV has become a controversial programme these days with artists taking a dig on celebrities without rhyme or reason hurting the sentiments of their fans. 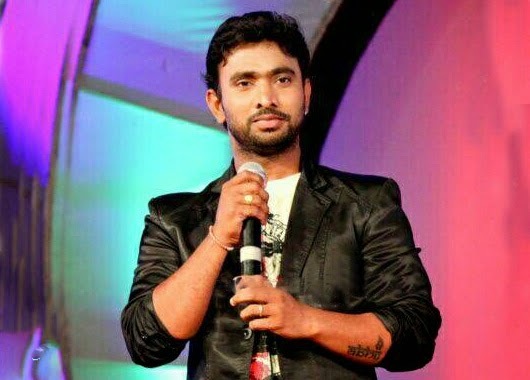 Recently a comedian called Adhire Abhinay prepared a skit taking a dig on Mahesh Babu’s Aagadu. The skit that was aired on 30th October 2014, claimed that Aagadu was a flop and Aagadu’s director did not give his best. There was no comedy in it at all. It was loud and irritating and getting on our nerves. After telecasting this episode, Mahesh Babu Fans were enraged. And this comedian Adhire Abhinay fearing backlash has issued an apology on his face Book page (find the link to his FB page here please) to Mahesh Babu’s fans claiming that in fact the skit was in favor of Mahesh Babu. Abhi posted “Sorry to Mahesh Babu Fans but skit lo ekkada thana gurinchi matladaledu…It was in favor of Mahesh Babu that he trusted a director so much but that person could not use of it. Anyways. Sorry to Mahesh Babu fans again…”.